@bartek from everydayflash.com is an amazing 3d flash designer and developer. 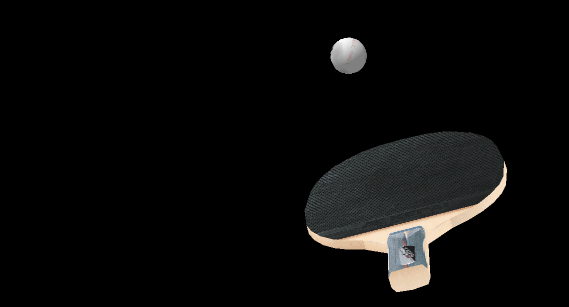 The latest from everydayflash is a sample using MouseConstraint in JiglibFlash the 3d physics engine for all major flash 3d engines. It is easy to see how the latest version of JiglibFlash with MouseConstraint will be heavily influencing flash games and applications very soon. This is a very smooth and quick demo that feels very responsive on the controls. There are so many possible uses for JiglibFlash now that the MouseConstraint is available. It will evolve further but this version seems ready to start integrating into many flash game and interactive ideas and projects. 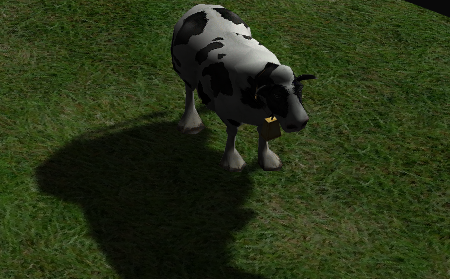 Even though it is still alpha it has been heavily cleaned up and a plugin system added by bartek for pluggable 3d render engines. 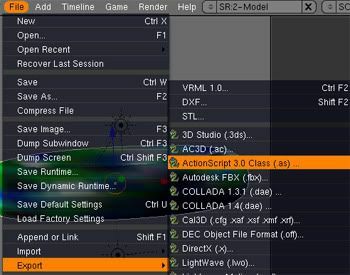 That is a huge step for 3d pipelines in flash. Libspark from Japan is a treasure trove of great flash advancements, they seem to realize the great things that can come from porting in existing solid libraries from C/C++ etc into flash and have been scoring lately including augmented reality in flash porting the ARToolkit to FLARToolkit. Recently a port of openCV for as3 called Marilena was found and it is for object detection and decent facial recognition (it is a computer vision library from intel) considering the processing power needed to do this. Face Detection: Here is the sample included with Marilena showing facial detection on an image. Lots of recent action has blown up on this front from Mr doob, quasimondo (optimizing the Marilena classes for better performance) and Boffwswana. Also there is a kit called deface by sshipman that is the first foray into this a year ago doing similar things but it was just a bit before it’s time and a bit slow in previous versions of flash, it performs decent now in this sample. Flash 10 performance of the AVM2 and future directions with Alchemy will lead to more interesting stuff just like this. Boffswana example of head tracking Johnny Lee Wii style with only a webcam and flash, no wiimote needed since it uses facial detection to check where you are and how close you are in the screen and then moves accordingly. This is stemming from the recent explosion of the FLARToolkit and augmented reality in flash as well as the gimmicks used by Nintendo with the wii and Johnny Lee’s great head tracking advancements. Porting great libraries to flash seems to be the phase we are entering now judging by the recent excitement around Adobe Alchemy and the LLVM along with the lead from the libspark.org contributors. We have also seen this heavily last year in ports of Box2D for 2d physics and other toolkits using established working code and porting that to flash now that is is mostly capable of handling the performance. OpenCV (Open Computer Vision Library by Intel) is quite a powerful platform that allows you to do all this and now it is available in flash. There are other great libraries for nearly all platforms now. I have done some previous work with Aforge which is also a port of OpenCV mainly for motion detection. This was always around but not until the recent performance updates and the innovation that has come with Alchemy and the thinking that goes along with that (porting in libraries to flash from C/C++ etc), has allowed this to flourish in flash and thus the web. The amazing new things we can do with flash by porting in existing libraries is only going to get more intense as alchemy and flash 10 are even more mainstream. It is almost as if Flash will eventually just become a web renderer and simplified front end to many great toolkits that exist in more native environments like C/C++ but with the speed and distribution access of the web with Flash. Exciting times ahead. Alchemy is going to shake things up a bit. As witnessed before from Quake running in flash and now ODE compiled to run in flash using Alchemy (LLVM based). It is an early test but shows what could be possible. 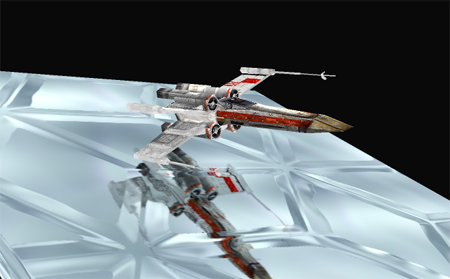 Mihai Pricope has a post with sources on how he got the ODE (Open Dynamics Engine) a great open source physics engine for 3D, running on the AVM2 Flash Player virtual machine. I’ve took Alchemy for a test and decided to compile ODE (Open Dynamic Engine). 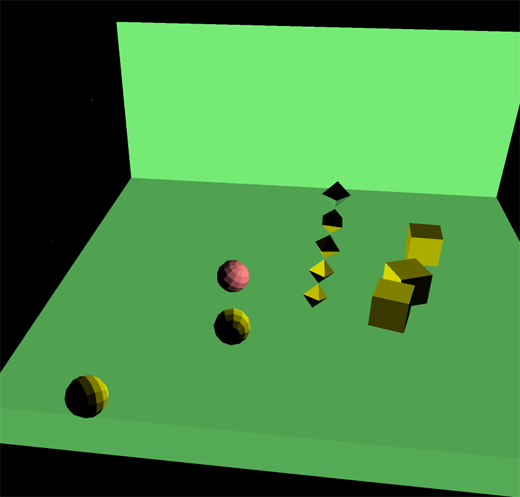 Just to add yet another physics engine to the Flash World. It was a hell of a ride but I finally got to produce some bouncing balls :). 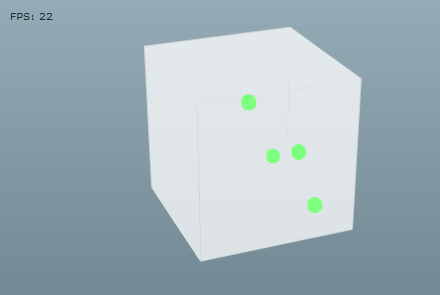 For a still unknown reason some as 3d libraries have been very slow to render 6 translucent walls and 2 balls. Papervision3D seems to move quite decent. Flash 10 will become mainstream shortly and with that the possibilities of using Alchemy in your projects is becoming a reality for production. But what specifically can you do with Alchemy, a project that helps to compile C/C++ code into AVM2 capable files? With Alchemy, Web application developers can now reuse hundreds of millions of lines of existing open source C and C++ client or server-side code on the Flash Platform. Alchemy brings the power of high performance C and C++ libraries to Web applications with minimal degradation on AVM2. The C/C++ code is compiled to ActionScript 3.0 as a SWF or SWC that runs on Adobe Flash Player 10 or Adobe AIR 1.5. Alchemy is based on the LLVM Low Level Virtual Machine that allows new levels of code translation. Maybe this can lead to more effective and performing code to run on the iPhone with flash player 10. Or some type of system that allows flash developers to code in AS3 or take projects and get them ready to run on the iPhone much like some of the Java to Cocoa compilation systems and Unity3D using mono to compile down to iPhone capable code. 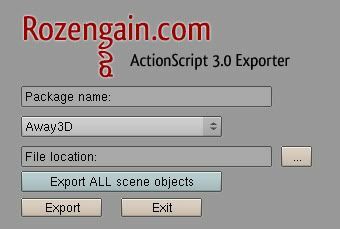 If you are exporting from blender to actionscript directly so you can get your models into flash as script you can use the Blender to .as3 exporter which so kindly supports all flash 3d engines currently Away3D, Papervision3D and Sandy3D. 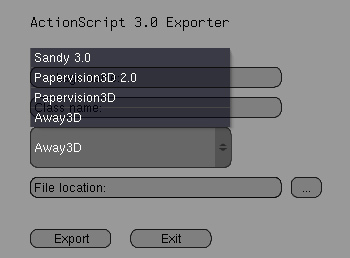 Dennis Ippel made the Blender exporter a while back but the update supports papervision 2.0. The benefits of COLLADA are nice but there are so many differences that you can run into trouble. With the exporter it is a direct faces and vector export without all the bloat of DAE/COLLADA xml. This works if you are only developing for flash and dont’ need to use the models in other platforms/systems/engines that aren’t in flash. I have been doing lots of Papervision 3D for a project recently and needed to debug some placement and camera issues. 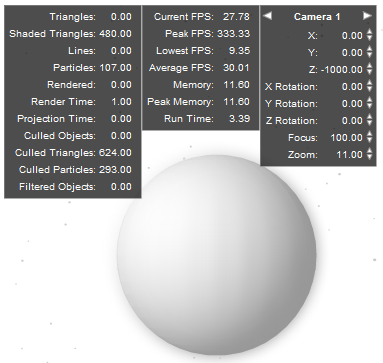 I did a quick search and found PV3DDebug by Jason Bejot and it worked out great and is a pretty sweet utility I thought I would mention when you need to debug Papervision or even for inclusion as a debug console in all your papervision apps and games. It is a good base for your own consoles or debug panels. It is also a great tool to help out with focus and zoom issues and understanding with camera placement. 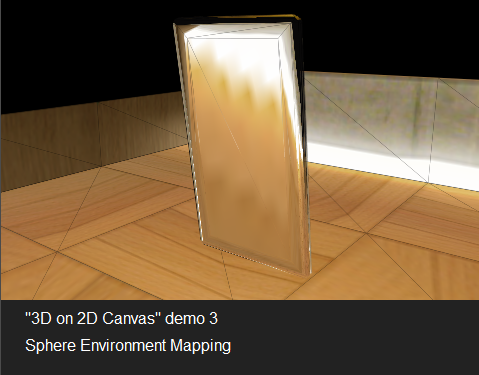 The code is really easy to drop in and you can get lots of info on the PV3D scenes and camera manipulation. The Zupko show continues with reflections in Papervision 3D [demo]. After posting my shadow experiment, Patrick Matte posed a question wondering if I would be able to do real-time reflections in a similar manner. The next day I had it done, along with some nice iterations along the way: orthographic and perspective projection (I can release those later if anyone really wants them). I’ve been sitting on it every since and finally decided I would take the time to write a little description into how its done and give the code to those who are interested (and I fixed up some code for backface culling in the reflection this morning).